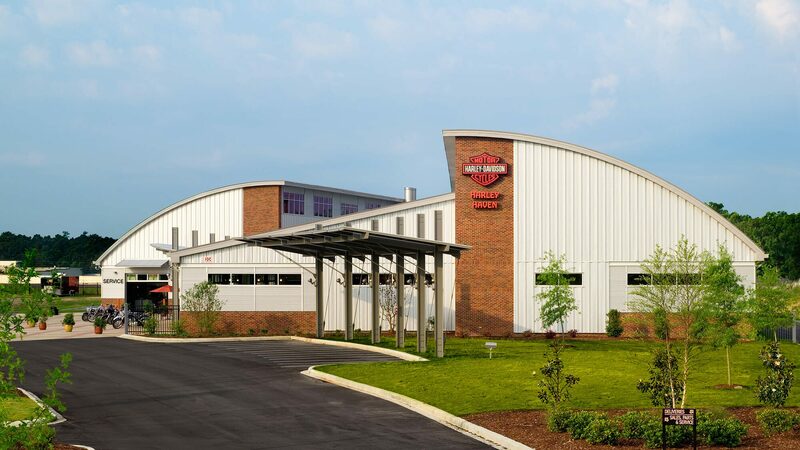 Harley Haven’s Harley Davidson dealership is not only an innovative design expression but serves as a destination point for riders across the state and beyond. The 35,000 square-foot facility boasts a 34-foot-tall showroom space featuring radius roof trusses and clearstory windows that fill the space with natural light. Exposed interior materials including stained concrete floors, steel building frame, spiral ductwork, and corrugated metal wall panels express the spirit of the products they market. 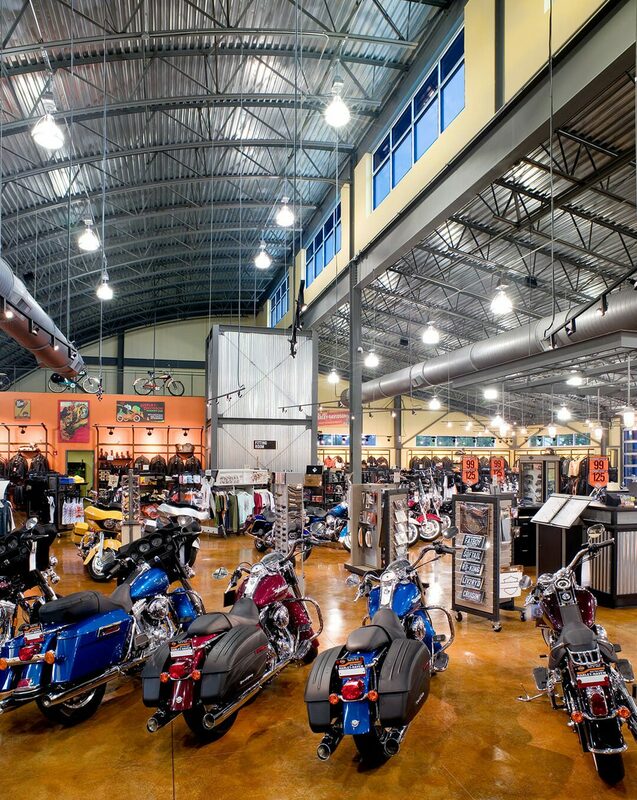 The motorcycle repair garage maintains the design character while providing the equipment to operate a full-service repair garage. Photography by Brian Dressler.